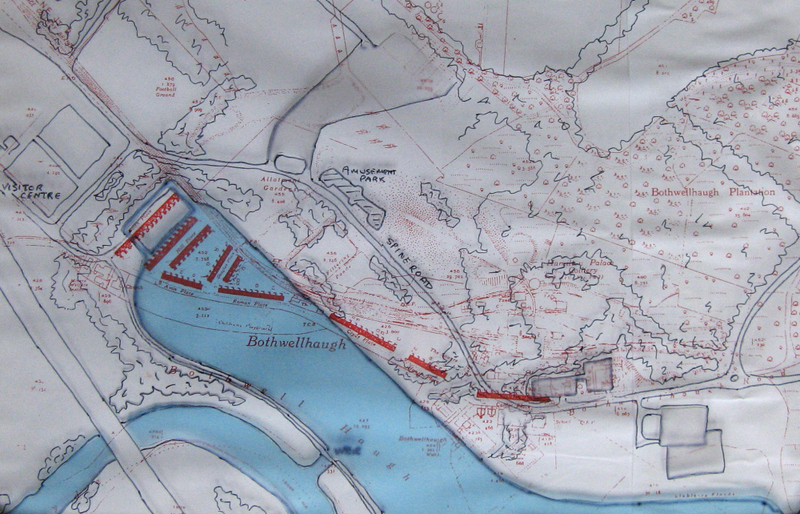 The north-western end of Strathclyde Loch, superimposed on a map of Bothwellhaugh and the Hamilton Palace colliery. Part of the village lay under the water in front of the amusement park on the far side of the loch, part of it lay on the land on the right hand side. · Katie McNamee, the cleaner at the doctor’s surgery, who was in the habit of buying presents, a toaster or perhaps a pail, for anyone getting married. 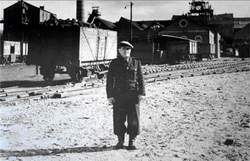 · Tam the Lum, the chimney sweep, who used a long brush and a big ball weight in the course of his work. Tam the Lum would fill the handlebars of his bicycle with hot water and tell local lads he had installed central heating. · John Gunn, for many years a member of the Co-operative Society and of the Labour Party. He served on the committee of various organisations in the village, often taking the chair. He was always ready to offer advice and help to anyone in the village. The position of Bothwellhaugh close to the River Clyde was at least partly responsible for the closure of the colliery and the abandonment of the village. No. 2 pit was always liable to flooding and needed continuous pumping. By the end of the 1950s the National Coal Board had decided that the cost of pumping had become excessive, and the colliery closed in May 1959. Most workers were made redundant or transferred to other pits, but 90 men stayed for a further temporary period to remove machinery and equipment, and to demolish the buildings. Before 1959 the number of staff employed at the Hamilton Palace had already fallen well below the number recorded in 1913. The introduction of electrically driven coal cutting machinery from 1917 onwards meant that fewer miners were needed. Over the years there was a steady movement of miners away from Bothwellhaugh, some moving away out of choice, others accepting offers of a transfer to another mine. One member of staff who stayed to clear the site after the pit closed was George Mair. He had grown up in Bothwellhaugh and completed an apprenticeship in joinery. As a joiner he would carry out a wide range of tasks, from maintaining the joists that held the winding wheels to making support beams for the shafts, and he would also carry out repairs in the miners’ cottages. 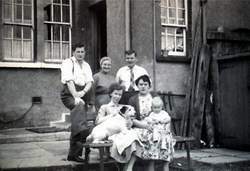 George Mair and his family eventually left in 1960, when he got a job in the steelworks in Corby, Northamptonshire. The village itself, however, survived for a few more years, and the school remained open until 1965. In 1964 the headmaster had cause to complain about the disturbance created by the construction of the M74 motorway. Thousands of tons of waste material from the mine dump near the school was being lifted into trucks and transported to the motorway site. When the school was closed in 1965 just 10 pupils were attending it. For several years parts of the village had been exposed to a major health hazard from raw sewage. When sewerage drains had been laid at the end of the nineteenth century they had been placed to run straight down to the river, rather than at an angle that would have prevented the backflow of sewage. At times when the river was high untreated sewage would come back up the drains and enter the foundations of houses, especially in Roman Close, the row of houses closest to the river. 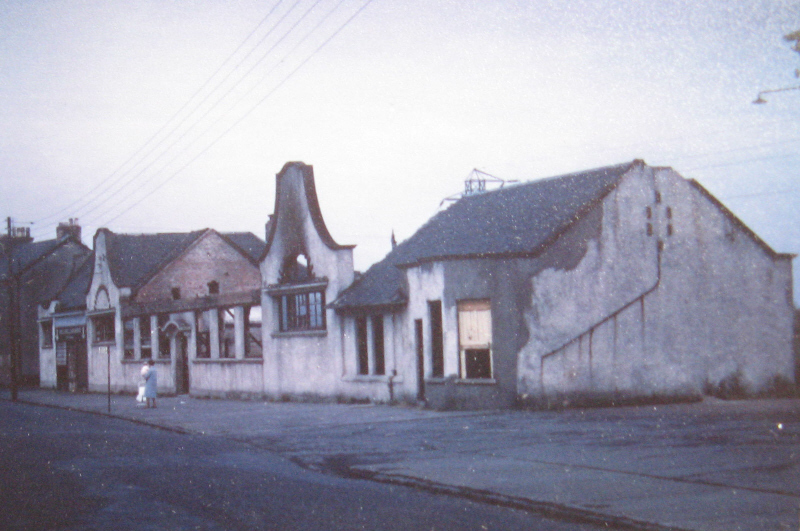 It seems that most of the village was demolished by the late 1960s. 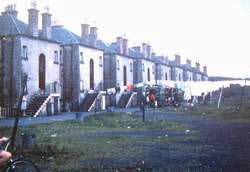 However, one row of houses was allowed to remain standing a little longer as people were still living there. It was the Mine Managers’ Cottages, usually known simply as The Cottages. Gradually the occupants of numbers 2, 3, and 4 moved away, leaving just one couple, Robert and Janet Frew in number 1. Robert Frew had been Deputy Pit Manager in the colliery. He suffered serious injuries in a car accident in 1969, and spent the rest of his life in hospital until he died in August 1971. During that period Janet Frew was the only official resident, but she was joined by a group of gypsies. She would supply water to the gypsies, and in return they would look out for her. After her husband’s death Janet Frew agreed to move into an old folks’ flat. 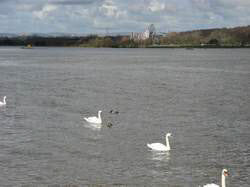 Strathclyde Country Park was developed in the early 1970s. When Strathclyde Loch was created the western section of the village site and part of the road were submerged under it. The area covered by the remainder of the village, the school, and the pithead buildings was concealed under landscaping. An amusement park was opened where the lower slopes of the larger mine dump would have been. Go to Youtube for a short film showing Bothwellhaugh as it was being demolished and former residents recalling their life in the village.